Indradhanushya is a public facility of the Pune Municipal Corporation to create environment awareness and promote responsible citizenship, thinking and action towards sustainable development in Pune. The main thrust of Indradhanushya is to spread the message of environment conservation in society and develop skills and attitude in citizens which could improve their environment literacy and environment performance of the city. Indradhanushya focuses to sensitize the public by infusing a sense of responsibility through behavioral change. To develop Pune as a city of responsible citizens and environmental stewards. To make Indradhanushya a hub for environmental activities and develop it as a resource for Pune city. To create environment awareness, promote responsible citizenship and inculcate environment friendly attitudes among citizens. To conduct non-formal education programs/workshops/seminars for students, teachers, professionals, senior citizens etc. on environment concerns with a focus on Role of Individual’, ‘Solutions and ‘management aspects’. To develop linkages with various schools, colleges, research institutes, NGOs and other related organizations working for environment and conduct programs in collaboration for our own environment. To develop innovative community based action oriented projects for school students to inculcate: environmental values, need for conservation, ownership for nature heritage and which ensures sustainability. Facilitating public participation to implement sustainable development strategies; creating a healthy environment for the city. The building of Indradhanushya has been designed in an environment friendly way. It is surrounded by rich greenery and while it’s construction not a single branch has been cut for the purpose. INTERPRETATION CENTER: The interior of Indradhanushya has been conceptualized on environmental theme. With the help of 3D exhibits, panels, outdoor signage, activities, films etc. Indradhanushya explains the systems in our city, its linkages to environment as well as the role of citizens in helping civic systems to function well without degrading the quality of environment. Various themes give a glimpse of past, present and future of Pune city. LIBRARY: Library at Indradhanushya has covered wide range of books on several issues and of various authors so as to create a good knowledge base for interested citizens. AUDITORIUM: Indradhanushya hold an auditorium for about 70-80 people in a bharatiya bhaithak It is equipped with projection facility. 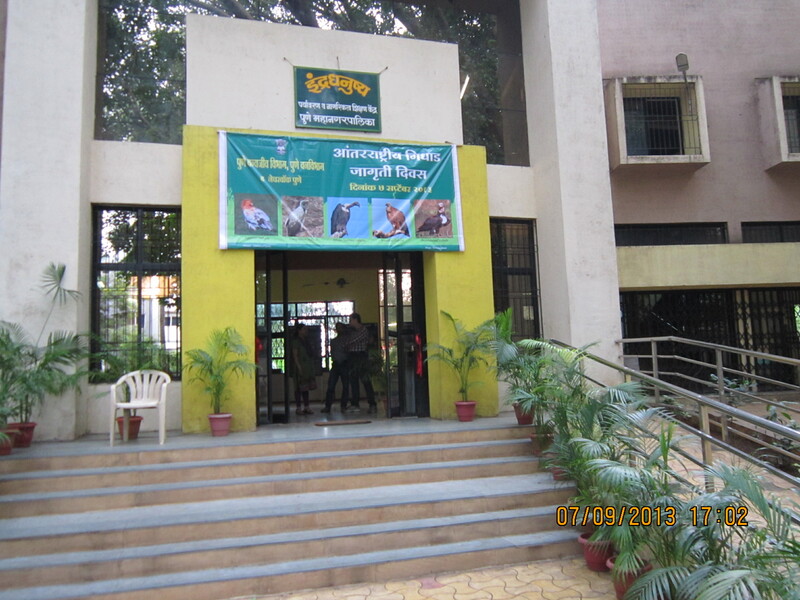 Various environmental movies, documentaries, presentations and programs are being conducted here. OUTDOOR SPACE: Indradhanushya has rich greenery around; which serve pleasant environment to work. The outdoor also serve as an information resource. Different trees have been supported with sign boards indicating the common name, scientific name and its uses. This gives the visitors and students a broad knowledge of the floral diversity around Indradhanushya. Indradhanushya is soon going to implement the working models like vermi-composting, Rain water harvesting (apart from the existing solar lamps) etc. to demonstrate environment friendly concepts. Exposure to such working models will give the citizens and students an outlook to think critically for the environment. 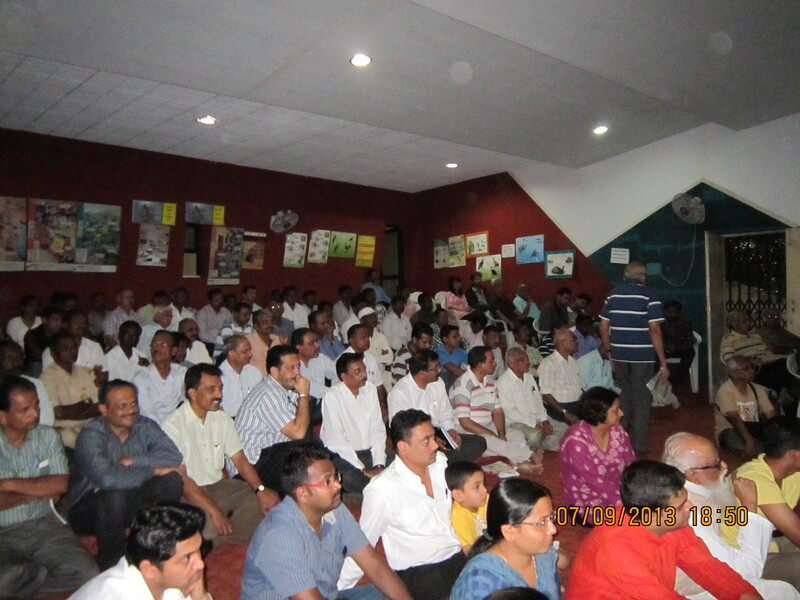 Indradhanushya not only conducts its own programs but also provide a platform to organize the programs/workshops/seminars, documentaries/movie shows on environment, presentations on environmental issues, celebration of significant environment days by conducting competitions (quiz, drawing, debate, speech etc.) for students etc. arranged by other NGOs/organizations based on themes of environment. Indradhanushya is recognized as an environment resource for citizens and is available for environment related programs for free of cost. 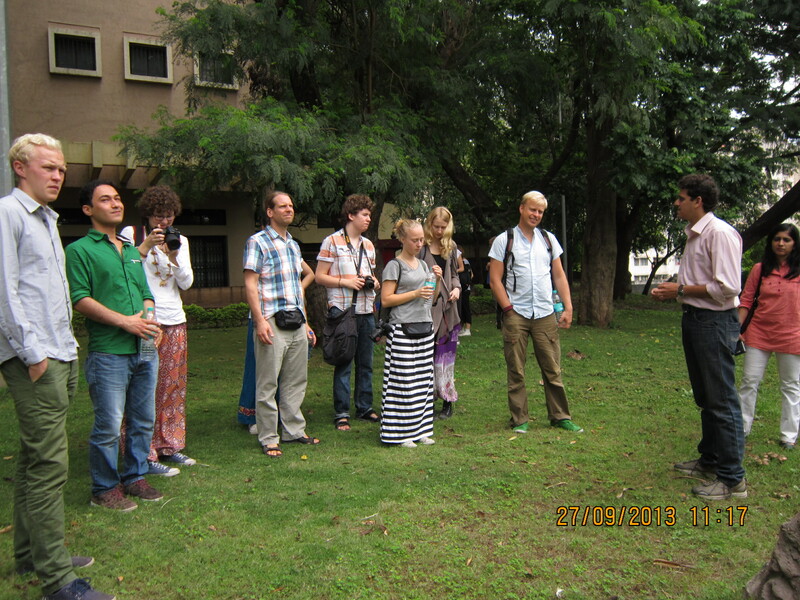 International students under any exchange program or as a part of their curriculum also visit Indradhanushya as an interpretation center for the city which delivers them the required and appropriate knowledge about Pune’s environment.